You are here: Home / AMSOIL / Motor Oil / AMSOIL Dirt Bike Oil, clutch performance when you need it! 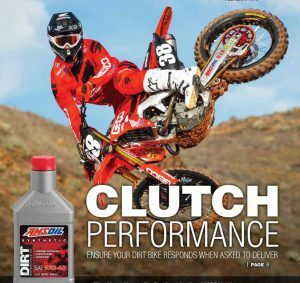 AMSOIL Dirt Bike Oil, clutch performance when you need it! Confident Clutch feel is the number one benefit we list on AMSOIL Synthetic Dirt Bike Oil labels. It’s also the primary value proposition featured in our dirt bike ads. But what does it mean? Riding effectively demands confidence . It’s true whether you are a GEICO/AMSOIL/Honda professional Christian Craig or a weekend warrior hitting the trails near home. Confidence stems from experience with the bike and familiarity with the terrain. But it also derives from knowing your bike is going to respond the way you want for the entire ride. Riders want progressive, repeatable clutch-lever feel from the time they let the clutch out until they cross the finish line. Take, for example, the start of a typical motocross race. Riders want firm positive clutch level feel as they rev the engine in anticipation of the gate dropping. When the gate drops, they want the bike to hook-up smoothly and with consistent power so they can grab the holeshot. Again, as they work up through the gears, clutch-lever feel should be crisp and consistent, not sloppy and loose. It’s no different on the trails around home. Each time riders maneuver around an obstacle on the trail or accelerate down a straightaway, they want consistent, crisp shifts. steel and friction plates, allowing them to rotate independently. This allows the bike to idle without moving. As the rider lets out the clutch lever, the pressure plate squeezes together the friction and steel plates. This binds the engine to the transmission and moves the bike. The transition from the friction and steel plates spinning independently to becoming bound together is an example of dynamic friction. Once the plates are locked together and spinning in unison, they’re subject to the principles of static friction. properties can allow the plates to slip in some circumstances, which you’ll feel as lost power to the ground. This is more common in motorcycles. additives, commonly used in gear lubes to protect against shock loads and intense pressures, can cause excessive clutch slippage and related damage. shifts and consistent clutch feel while guarding against wear for long clutch life. 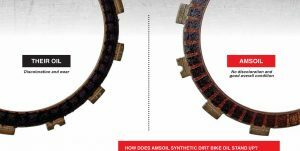 What’s the difference between AMSOIL Synthetic Dirt Bike Oil and AMSOIL Synthetic Dirt Bike Transmission Fluid? HOW DOES AMSOIL SYNTHETIC DIRT BIKE OIL STAND UP? oil demonstrated inconsistent clutch-lever action and poor clutch feel after 16 starts. The clutch plates lubricated with AMSOIL Synthetic Dirt Bike Oil remained clean and in good overall condition, while the plates using the OEM oil revealed discoloration and wear. AMSOIL Synthetic Dirt Bike Oil’s superior performance delivers the confidence that your bike will perform consistently in all types of riding conditions. 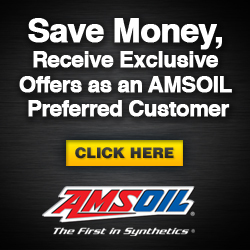 The best way to purchase AMSOIL products for most people is to become an AMSOIL preferred Customer. 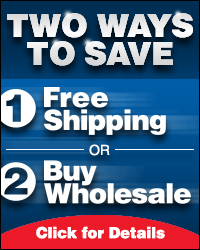 This program will save 25% off the retail cost on orders. 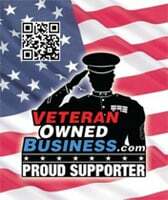 If you are spending more than $100 year, you will save money as a preferred customer. Get the latest updates and more! Oil Analysis can benefit your equipment maintenance Big Time!